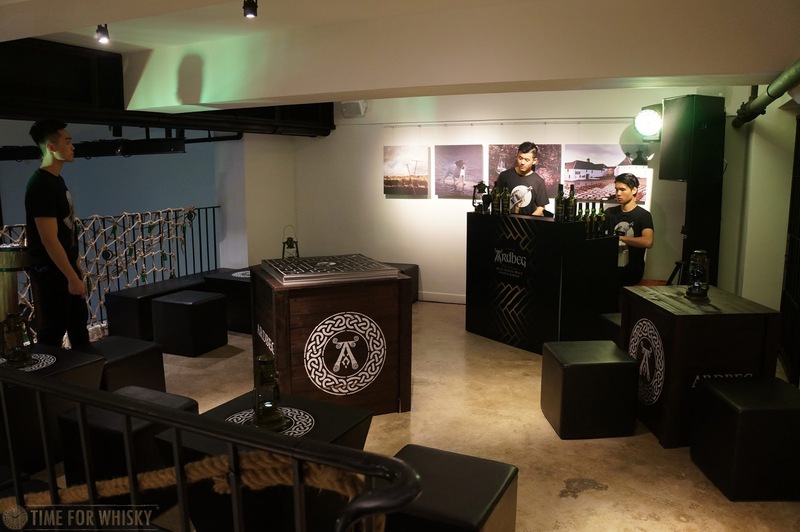 After attending Ardbeg Day in Sydney in 2012, 2013 and again in 2014 (each event one of the best of the year), it was a shame to miss out on 2015's celebrations, though luckily Hendy attended and brought us all the info and some great photos. Not being in Sydney again this year, I assumed I'd again be missing out on all the fun, when I learned that an official Ardbeg Day Ardbeg Night was happening here in Hong Kong! 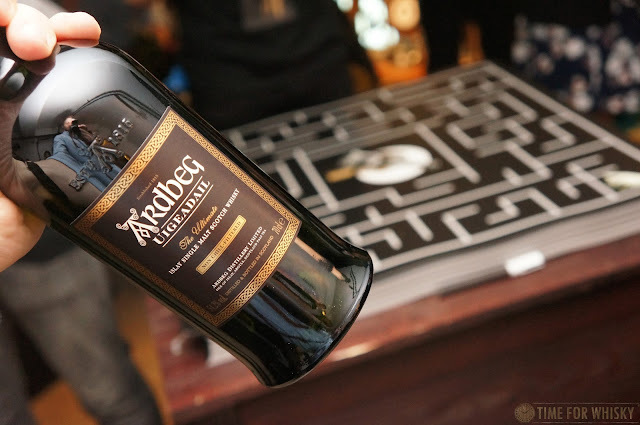 So along I went last Friday night to check it out and see how the event compared to the incredible Sydney Ardbeg Days. Held in a tri-level function space known as "The Warehouse" in Sai Ying Pun (which the organisers must have assumed would be hard to find, as they had staff placed in the surrounding streets directing guests all night), the party followed a similar format to Ardbeg Days in Sydney and around the world - i.e. 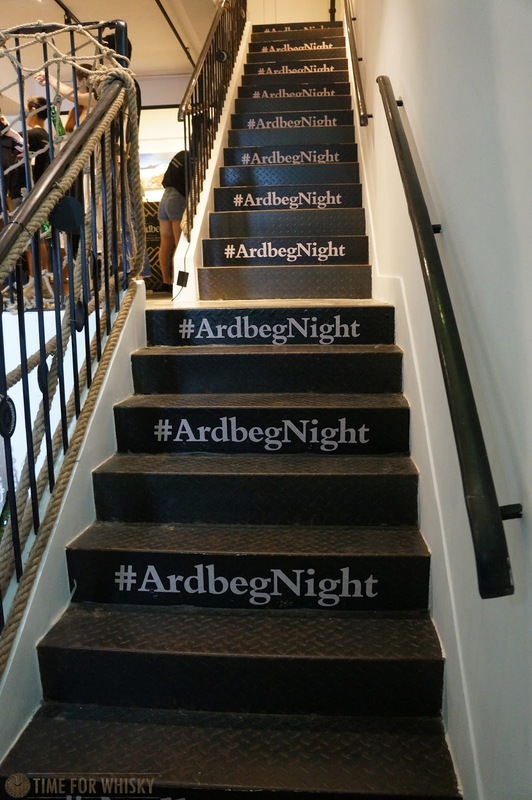 games, giveaways, cocktails and a whole lot of Ardbeg. 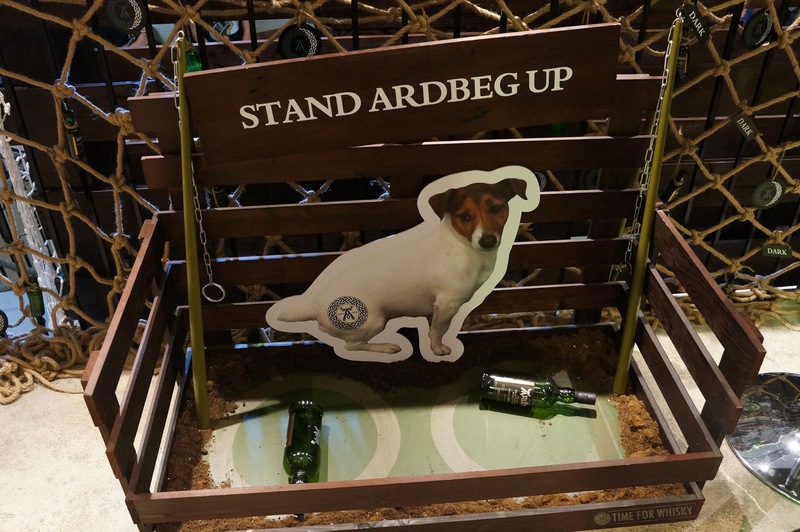 A small desk set up on the street welcomed guests with an Ardbeg Day t-shirt, and a pair of 3D glasses which were required to read the secret codewords to gain entry ("Dark, Smoky, Peaty"). 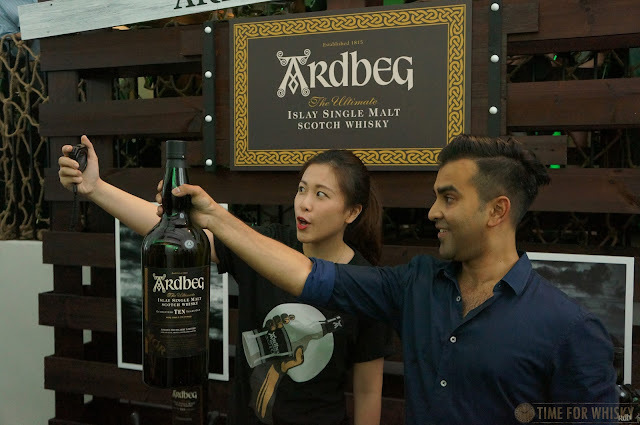 Giving the codewords at the entrance saw guests "branded" with an Ardbeg stamp, before being offered a welcome drink (Ardbeg 10 - neat or on the rocks) and the chance to have their photo taken with the Smuggler's Cove backdrop. 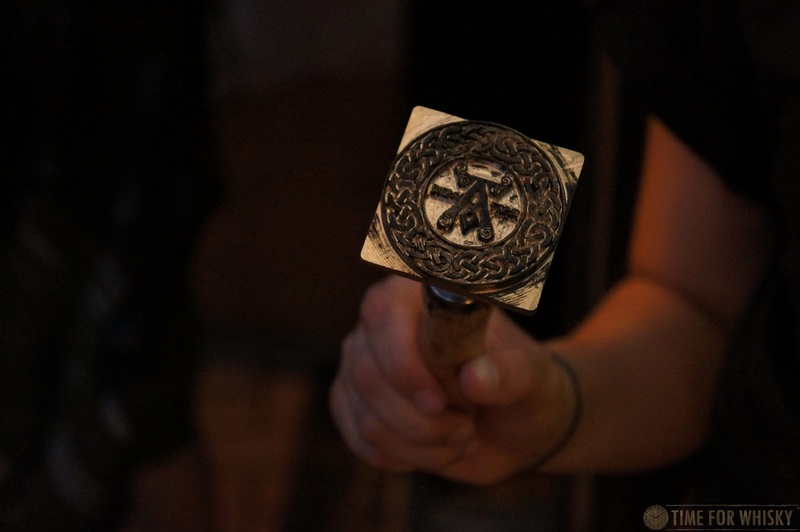 Guests were also given stampcards, which after filling with two stamps (available by winning the games), entitled them to a hearty pour of Uigedail on the top level. 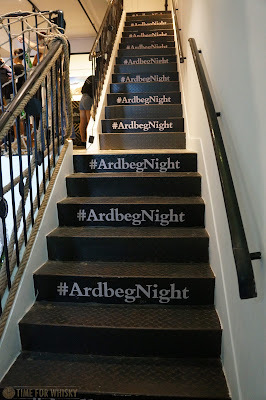 Heading up the stairs to the first level, guests were free to choose from 3 games (Tug o' War, "Stand Ardbeg up" and a boat game), or enjoy canapés and Bloody Marys made with Ardbeg 10 (which were delicious). We arrived right as the event started (hence the photos being not-too-crowded), but within 20 minutes the venue was packed. As well as the Uigedail, the top level also had space for guests to sit and chat, and a (very challenging!) two-person game involving a ship's steering wheel, a silver marker and a maze. Fun, but not easy (and even less so after a few Uigedails)! Another game involved seeing how long guests could hold an Ardbeg Mor (4.5L bottle / Jeroboam) with an outstretched arm (on the way out yours truly set the record at 1:01 - a time we're not sure was later beaten)! 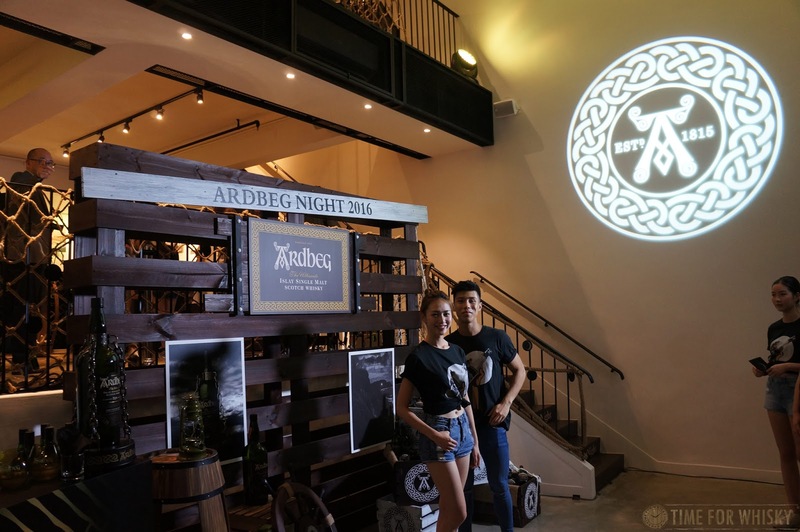 With the Ardbeg flowing freely, the DJ keeping the venue cranking and everyone enjoying the games, it was a great night, even if it was a smaller celebration than the previous Sydney events. Of course - you may wonder when the Dark Cove appeared. Sadly, it didn't! Hong Kong isn't getting an allocation (of either the regular edition or the Committee Release), and so there was none on tasting. 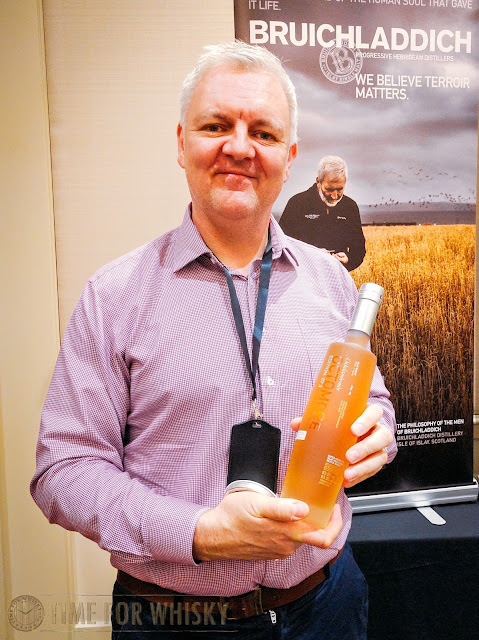 See here for our tasting notes on the Committee Release from last month, and Hendy will have his thoughts on the regular edition, along with his write-up of the Sydney celebrations, up shortly). 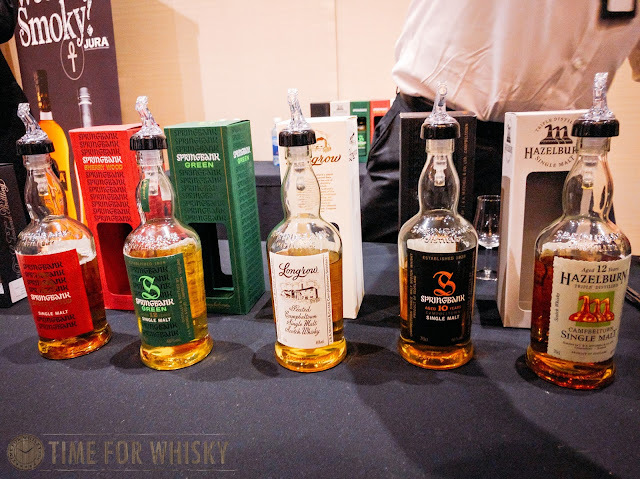 A few weeks ago we were treated to a tasting of the core lineup of Michel Couvreur whiskies, thanks to Natural Food & Beverage HK who have exclusive distribution rights in HK. That's eleven whiskies in total. "Michel Couvreur?" you might ask, and understandably so. 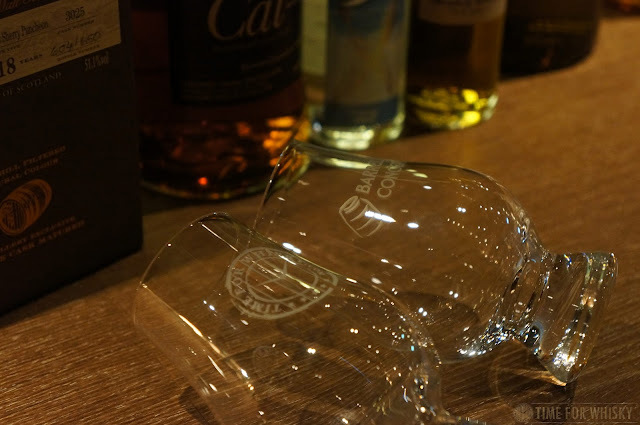 Hardly a household name, nor a widely available product, Michel Couvreur whisky does however have an interesting backstory and history, and a varied and unique line-up of whiskies. 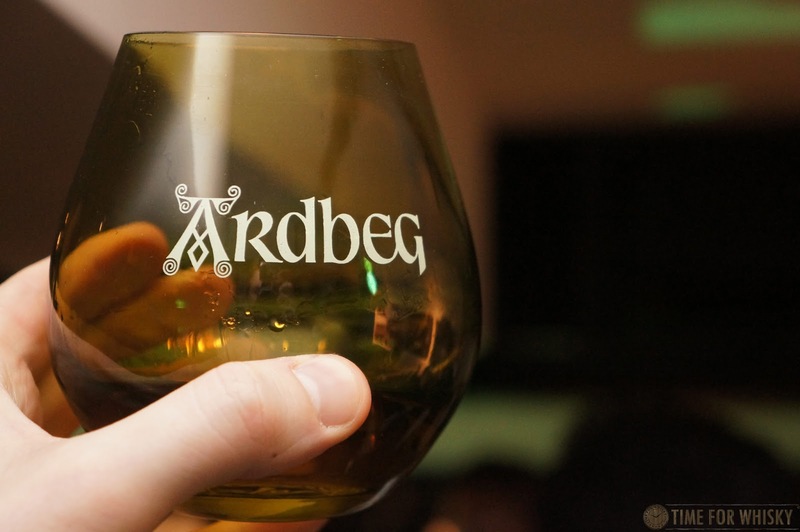 If you're thinking it must be a French whisky, you'd be half-right. 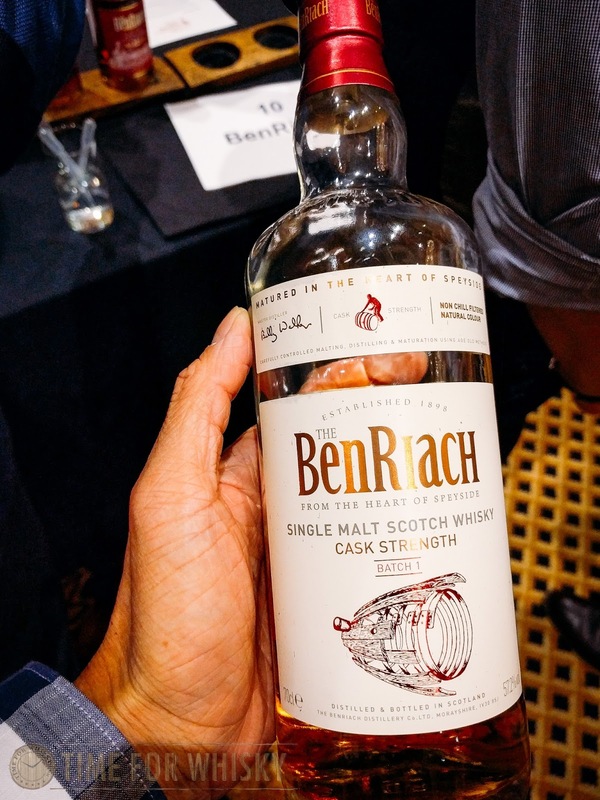 Michel Couvreur whisky starts life as Scottish New Make Spirit, but is then sent to Burgundy in France, where it enters oak (typically ex-Sherry casks), and undergoes maturation in an underground cellar. 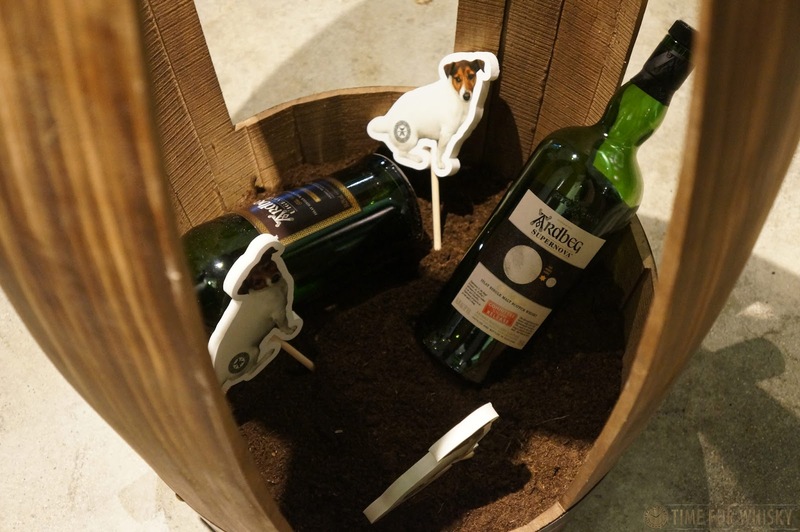 What other whisky can lay claim to that sort of lifecycle!? The brainchild of a wine man (can you guess his name? 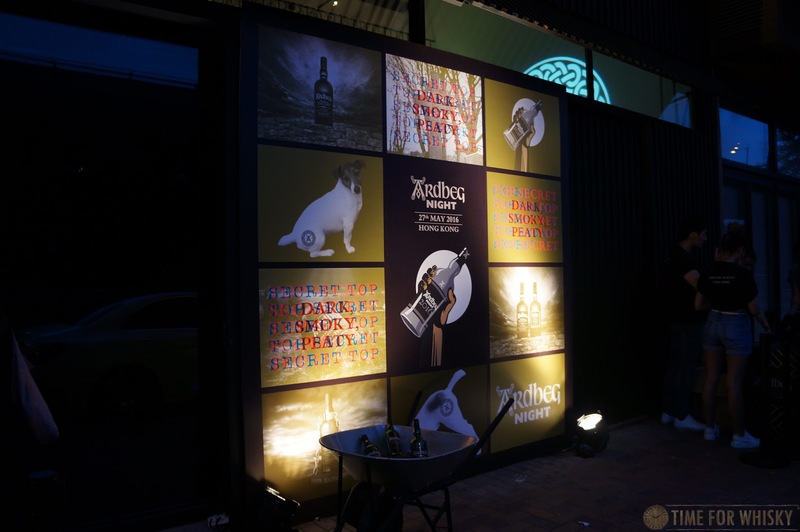 ), the MC lineup is a comprehensive one, with eleven whiskies on tasting during our session and even more available from time to time. 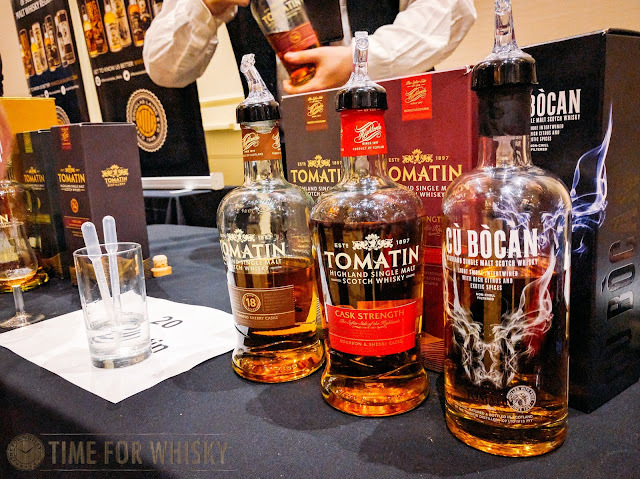 From smooth, light, young and elegant Highland-style whiskies to big, robust, older Macallan-esque sherried whiskies, the lineup has something for everyone. The range was described to us as "whisky for wine people" and one look at the bottles certainly suggests that to be the case - with labels more akin to a Burgundy Red, wax tops and corks, if it wasn't for the shape of the bottle you could be forgiven for thinking these were French wines at first glance. Michel Couvreur "The Unique" Blended Scotch, 4yo, 44%: Bready and smooth, with slight hints of Chardonnay (no, really) and pears. This had a short but pleasant finish. 88/100. Michel Couvreur "Clearach" 3yo, 43%: Spirity at first, turning to red berries and caramel, with an overarching sweetness. A short finish ends with smooth caramel. 90/100. 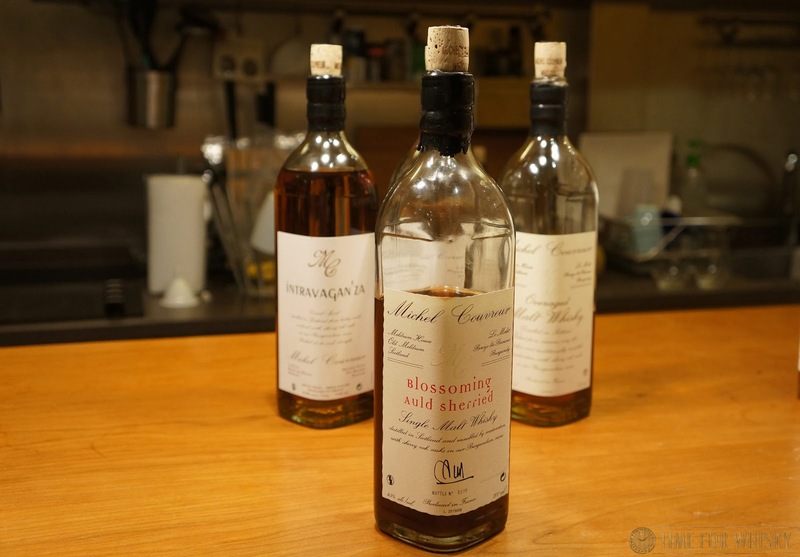 Michel Couvreur "Intravaganza" Single Malt, 3yo, 50%: Rich toffee and coffee notes, leading to a short, mocha-like finish. 91/100. Michel Couvreur "Overaged Malt Whisky" Blended Malt, 12yo, 43%: Obvious sweet PX influence - light in palate but with a rich nuttiness on the finish. 91/100. 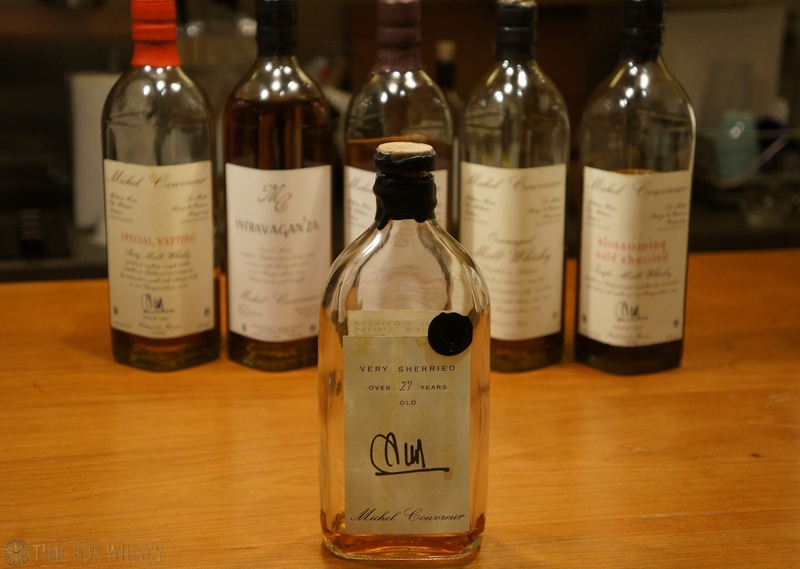 Michel Couvreur "Overaged Malt Whisky" Blended Malt, 12yo, 53%: Similar to the 43% bottling, but with more Christmas cake notes (sherry-soaked raisins, glace cherries). 91/100. Michel Couvreur "Pale Single-Single" Single Cask, Single Malt, 12yo, 45%: A nicely perfumed nose with an earthy palate, but perhaps a little too "light" overall. 89/100. Michel Couvreur "2005 x 2015" Single Malt, 10yo, 47%: Lots of trademark sherry notes (raisins, brazil nuts, toffee, berries), with slight hints of sulphur on the palate. 90/100. Michel Couvreur "Candid Malt Whisky" Blended Malt, 8-9yo, 49%: Nutty and earthy with a nice long warming finish. 90/100. Michel Couvreur "Special Vatting" Blended Malt, 12yo, 45%: Slightly perfumed, but with a big sherry nose and palate taking the fore - almonds, dates and prunes. A lovely palate. 92/100. Michel Couvreur "Blossoming" Single Malt, 14-15yo, 45%: Reminiscent of a sherried Balvenie - not from of the regular lineup, but the single casks we've been lucky enough to try at the distillery (or when Sam Simmons came to town). Fruity, nutty and just very, very well made. The star of the line-up. 93/100. Michel Couvreur "Very Sherried" 27yo Single Cask Single Malt, 27yo, 48%: Dark caramel-copper in colour, this dram had notes of rich toffee, hints of blackberries, and an aged-Glenfarclas like palate (which for us means confectionary - Cola bottle lollies), some Bannoffee pie and a long, long sweet finish. 92/100. 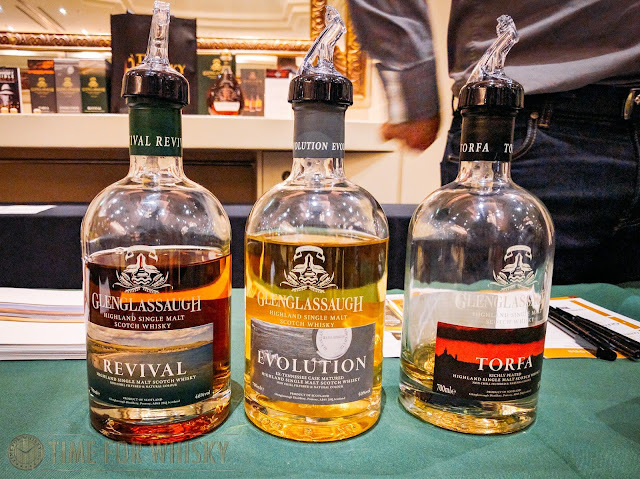 We'd tried one or two Michel Couvreur whiskies in the past, but it was a pleasure to try the entire core range in one sitting, and really explore the differences in these unique whiskies. 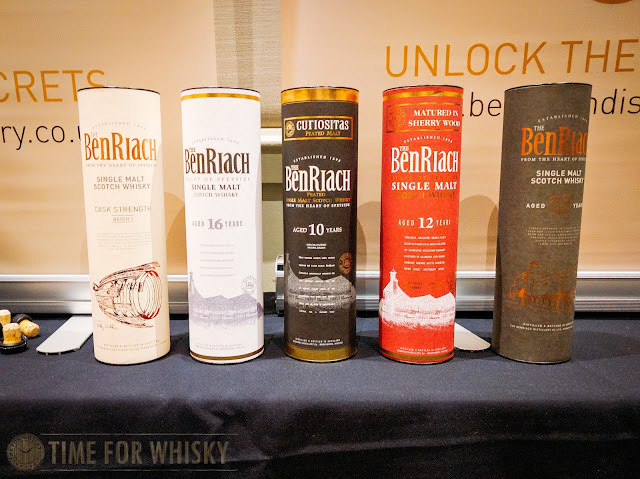 We also love the fact that out of 11 whiskies, there were 8 different ABVs! Clearly the people running Michel Couvreur these days bottle their whisky based on "what's right for the whisky", not an arbitrary number. 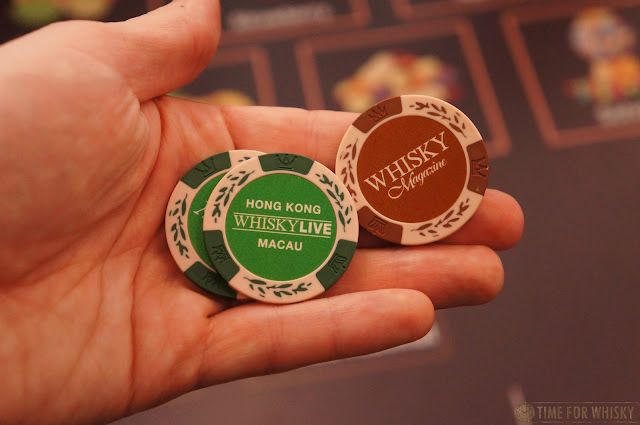 Michel Couvreur whiskies are available in Hong Kong through Natural Food & Beverage HK and the few linked above are available worldwide through Master of Malt. We'd like to thank Natural F&B for having us as a guest in their office and for sharing the range with us. As the world celebrated World Whisky Day, and many in Hong Kong celebrated at Tiffany's New York Bar's event (which we heard was excellent but sadly couldn't attend), we were celebrating in a more low key manner, with a few friends and a few bottles at the excellent Malt Whisky Bar - one of our Top Whisky Bars in Hong Kong. Organised by good friend Eddie Nara, the premise was simple - kick off with a cocktail (a delicious take on the Whisky Sour made by Bar Manager Tico and his fantastic team, with Chivas Regal Brothers' Blend and a real piece of barley as garnish), then move onto the drams...and speaking of drams, it was an international assortment (very fitting for "World" Whisky Day), with whiskies from Japan, Scotland, America, Australia and even a "Hong Kong whisky" (more on that one in a future post). 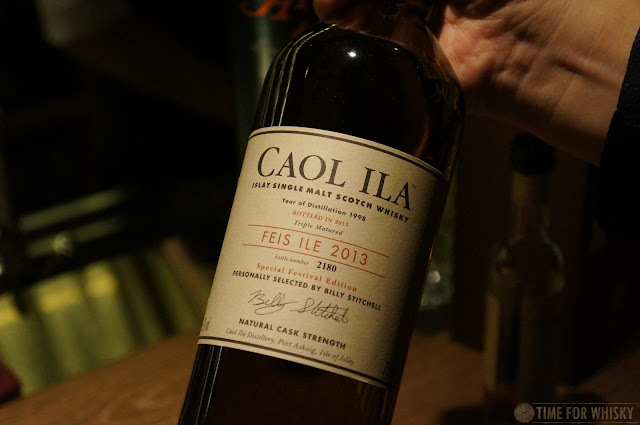 With Feis Ile also kicking off, Eddie thought it fitting to crack out a special dram - his as-yet unopened bottle of Caol Ila Feis Ile 2013. 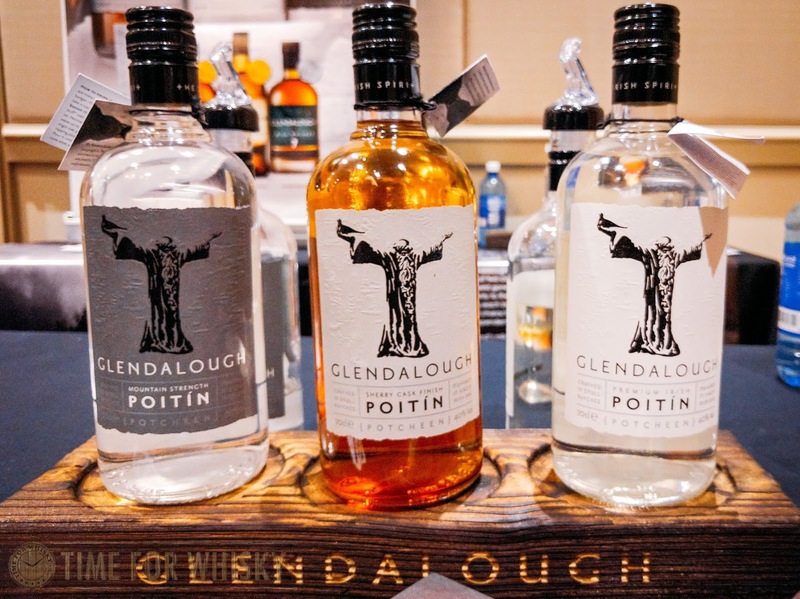 Matured for 12 years in refill butts, hogsheads and barrels, it was then vatted and given a few extra months in more active hogsheads, before being given the finishing touches in European oak. A trademark Caol Ila in our books, but a lovely one at that, with slight hints of walnuts and a few obvious citrus notes. 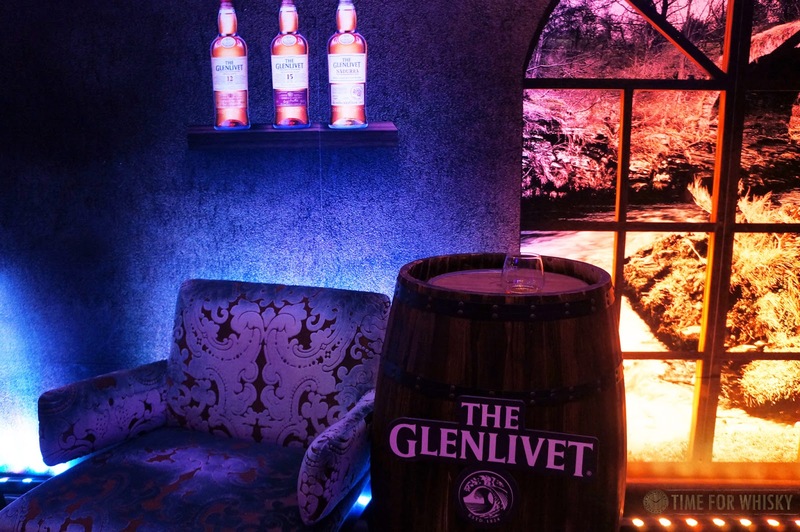 All up, a brilliant way to spend World Whisky Day. 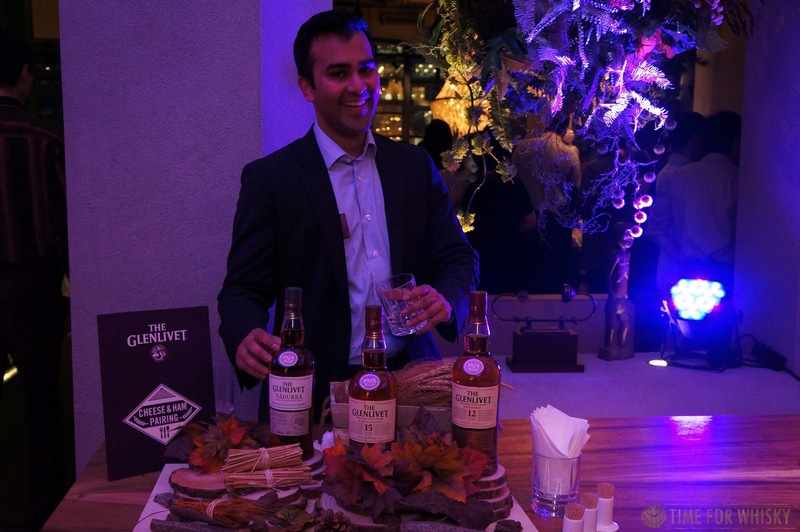 Trading one of our "TimeforWhisky.com" Glencairns with one of Eddie's Barrel Concepts glasses. Annually, coinciding with World Whisky Day on 21 May, renowned Sydney whisky shop World of Whisky host one of the three whisky shows for Sydney - dubbed simply "The Whisky Show". We attended the Friday session which was rather good as the session hadn't been fully sold out and as such the crowd was quite manageable (although we did miss out on the four masterclasses which were to be held on the Saturday; the Kavalan, Laphroaig, Paul John and Bourbon masterclasses). 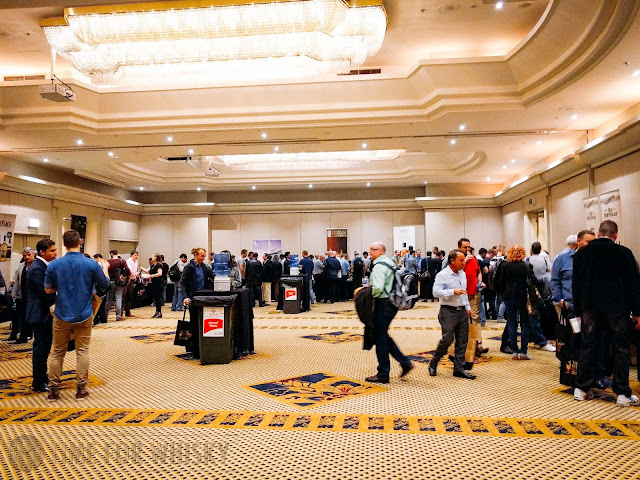 Hosted at the same location as the previous two years; the Stamford Plaza Sydney Airport (see our 2014 write-up here), though not the most convenient of locations, was large enough to accommodate a diverse range of distilleries and/or their distributors. Upon arrival, all guests were provided with a nosing glass and a bag containing a bottle of water and few nibblies. There were also a couple of water fountains placed along the centre of the exhibition room to allow rinsing of glasses and re-hydration. Douglas Laing held the Indie bottler fort, showcasing a number of bottles from the "Old Particular" series including a Ben Nevis 14yo and a Glengoyne 17yo. A limited release from Springbank, fully matured in sherry oak casks and bottled at cask strength, this full bodied expression was quite enjoyable. Nose: The nose is filled with sweet cranberries, rich sticky date, moss and molasses. 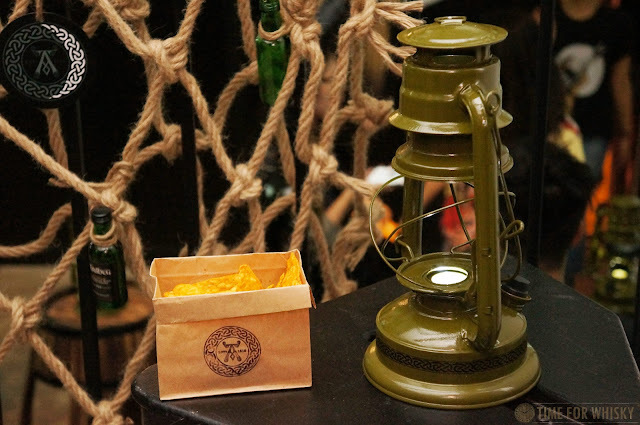 Palate: The palate is clean and delightful with notes of berries, raisins and the sticky date from the earlier whiff. The palate is then slowly transformed with red chilli pepper and toffee notes. Finish: Long with lingering peppermint spices. The inaugural release of the Cask Strength series from BenRiach. This malty, creamy and delicate expression was one of our favourites of the night. Can't wait to see future Cask Strength releases from BenRiach. Nose: The nose is sweet, fruity and creamy, loads of sweet burnt caramel and butterscotch, sticky date pudding. Palate: Merry Christmas, though not in July. Oaky and spicy, where is that Christmas pudding? There are hints of cinnamon tart and cinnamon dusted creme brulee. The creamy mouthfeel is then followed by a lingering black pepper spice. Finish: Long, sweet and not too drying. A limited cask strength release from Paul John; the second Indian distiller to hit the Australian market after Amrut. 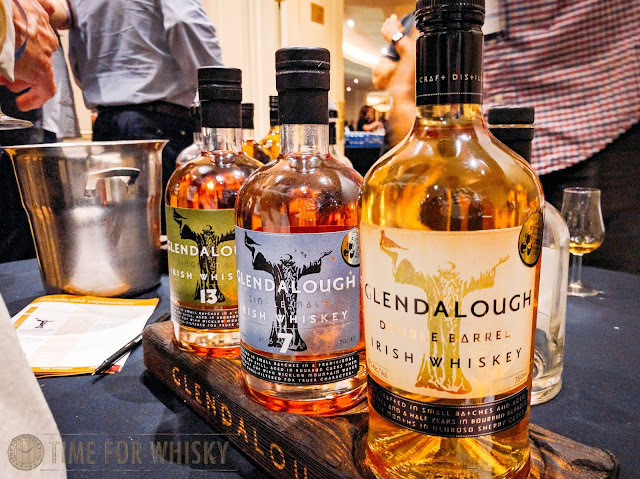 This unpeated cask strength release had been aged for around 7 years in ex-bourbon barrels. Nose: The nose has bourbon all over it. Almost smells like a good breakfast; fruity malty, oaty with notes of honey and sweet vanilla. Palate: The malt continues on the palate; creamy, mellow and loads of honey with a layer of black pepper spices from the oak. The higher ABV balances the sweet, malty notes. Finish: The finish is long and there remains a chewy oaky mouthfeel. A nice solid dram. We were offered a sample of this Paul John Single Barrel following discussion of the general expression they had on offer. 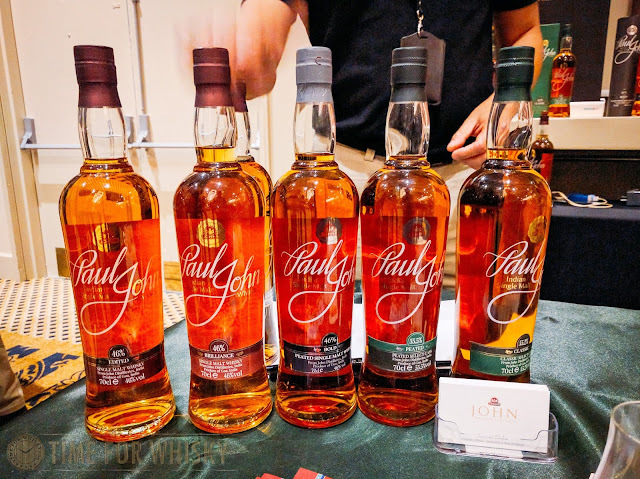 It is a preview of what is to come from Paul John, in the form of Single Barrel releases. This particular expression was aged in an ex-Jack Daniel's barrel for (presumably nine) years and bottled at cask strength. Overall, this was an excellent dram and we look forward to the official release of the expression. Nose: The nose is filled with loads sweet malt, honey and there's a strong hint of oak, almost resembling the smell of new wood lacquer. Palate: The palate is deep, rich and presents a nice layer of vanilla tart. 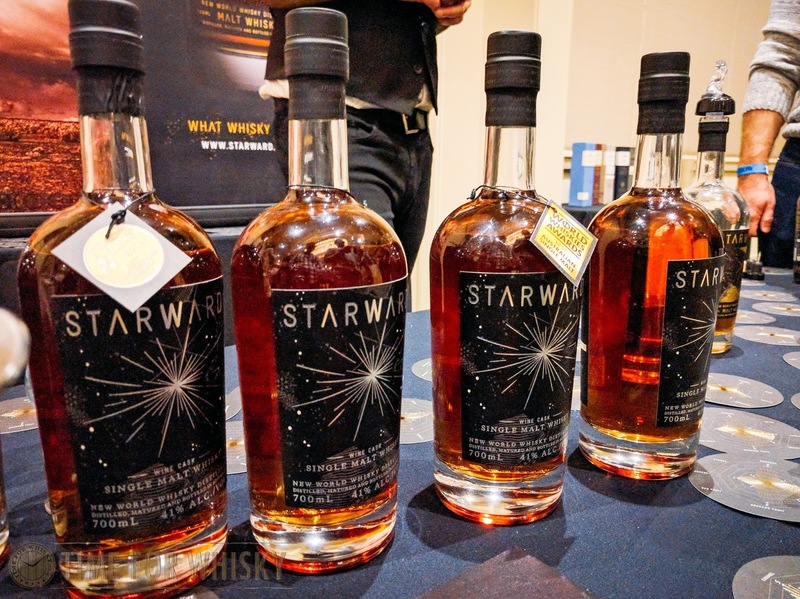 The tannic, citrus notes follow the sweetness and then there's some oak spice to finish. Similar to the Select Cask Classic, the higher alcohol ABV provides a layer complexity to this expression. Finish: Long and lingering with plenty of oak and spice. This newly released expression from The Glenrothes combines vatting from three vintage casks and finished in an Islay cask. 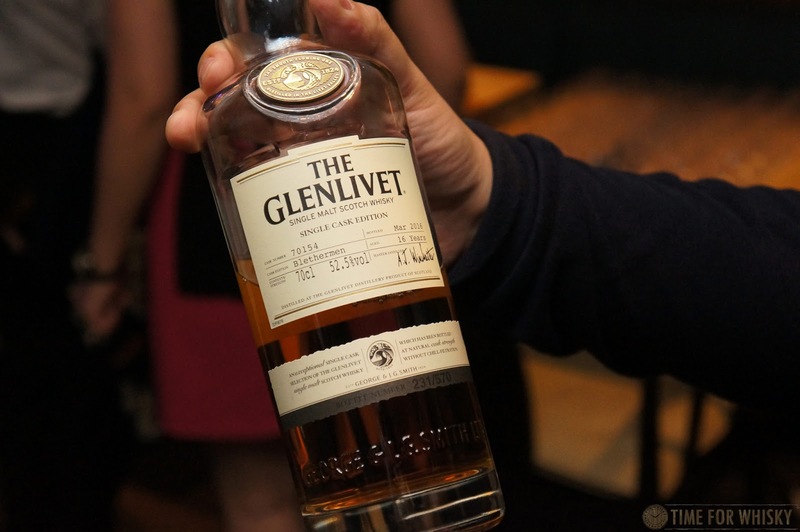 This was a clean, elegant expression that packs a small hint of peat to balance. Interestingly the only online shop we could find selling it was based in NZ! Nose: Malty, breakfast cereals; or rather breakfast whisky. There's no peat on the nose though the nose is fun with plenty of jolly lollies. 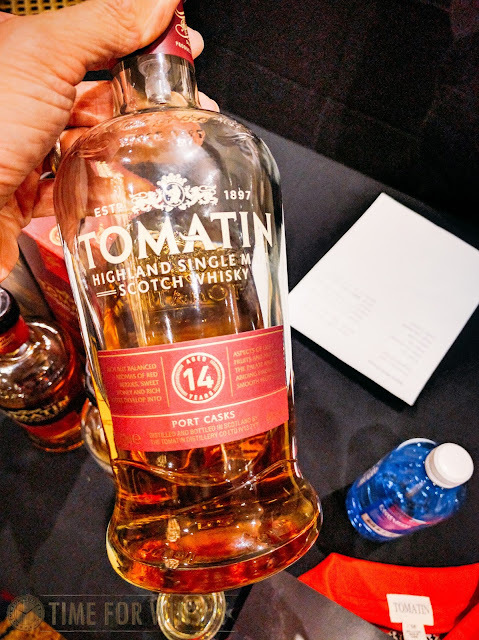 Palate: The palate is clean and very light, sweet molasses are evident and there is a gentle peat note that fades over time. A light layer of spice lingers. Finish: Medium though there is a lingering malty sweetness. The Sydney Whisky Show is on for this entire weekend. Whether you'll be at the show celebrating World Whisky Day or at home savouring your favourite dram, Happy #WorldWhiskyDay! 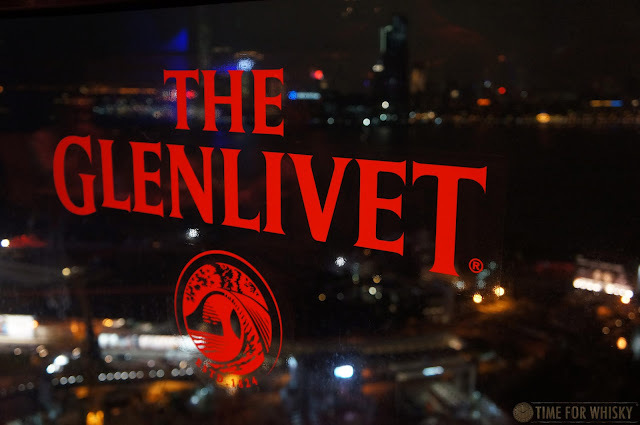 Pernod Ricard Hong Kong, in conjunction with the new Whisky Magazine Hong Kong & Macau (which you'll be hearing more about shortly) recently held an "Exclusive Whisky Party" at the recently-opened Seafood Room in Causeway Bay, with stunning views out over Hong Kong harbour. 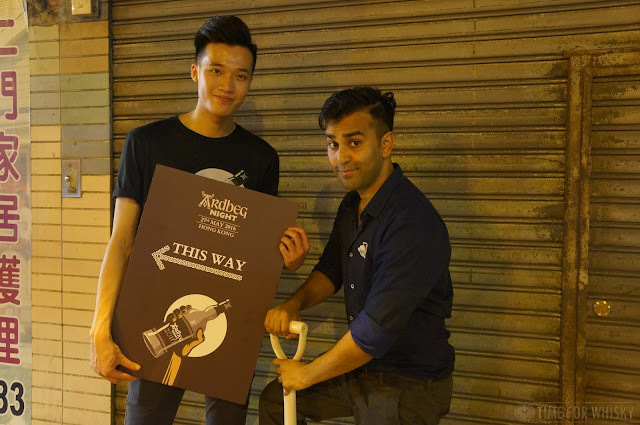 Despite the name, the party was probably the busiest and most well-attended Hong Kong whisky Party we've attended (and we've been to plenty), with crowds filling almost every inch of Seafood Room's humungous 10,000 combined sq ft space. In one way though, the party was "exclusive", with guests being the first in Hong Kong to try the latest single cask offering - the 52.5% 16 year old "Bletherman". 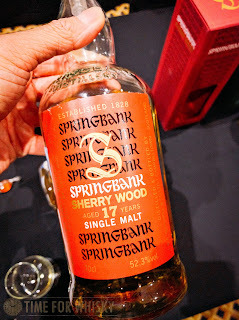 Unfortunately we couldn't make the earlier tasting session, and were only able to try it from a tumbler so we don't have detailed tasting notes, but what we did taste we liked - an incredibly rich dram, sherried but not overly so, with a delicious vanilla creaminess. Limited to 570 bottles, we suspect quite a few were gone by the end of the night. With so many guests, you'd hope there'd be enough to keep everyone entertained...and the organisers didn't disappoint, with cocktails, cigars, a rooftop band performance, food stations (including some fantastic Jamón, but surprisingly little seafood), a choice of The Glenlivet drams (12, 15, 18, Single Cask "Bletherman" and Guardian's Chapter, which we helped select way back in 2013) and a whisky and tea pairing station, not to mention a photo station (where guests could have their photo taken and receive it instantly via e-mail and a few minutes later in printed form). 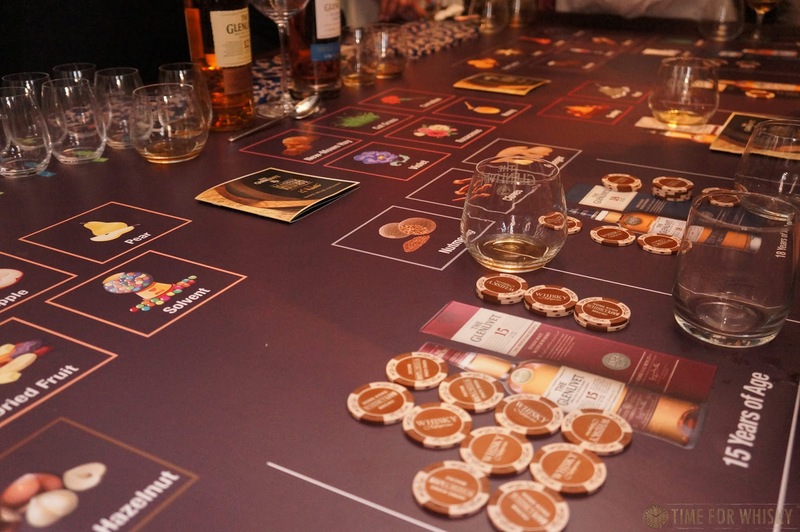 The highlight though was the game table, where guests tasted whiskies and nosed scents, and used tokens to guess the whisky / flavour. Winners at the end of the night walked away with a bottle of Glenlivet 12 Excellence and the Guardian's Chapter. 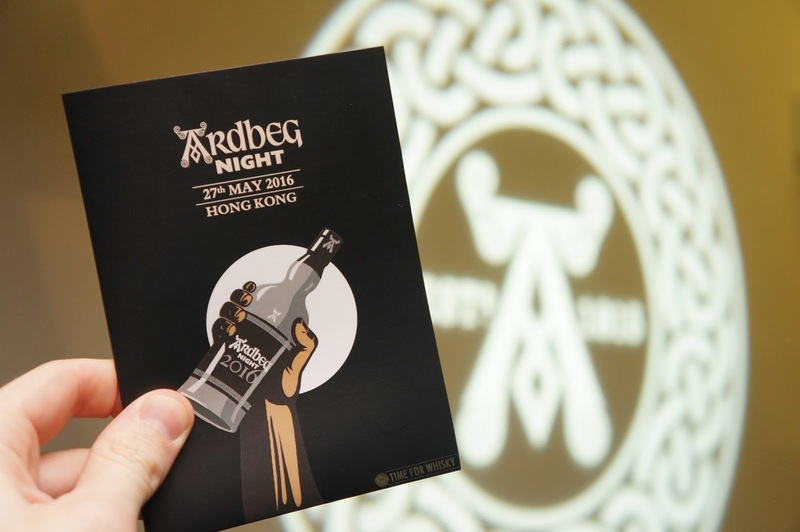 Entry is $120HKD and includes the welcome drink and an engraved Glencairn glass. Full details can be found here. 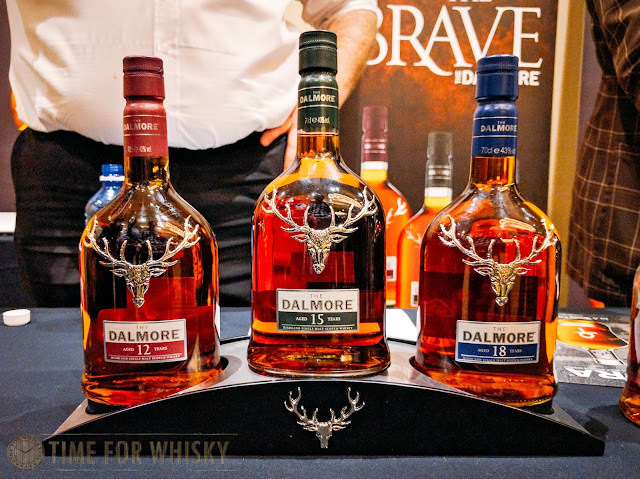 We've seen the list of drams and there are definitely some winners in there - plenty of favourites as well as some unusual drams that many may not have tried (or even heard of) - Slyrs single malt, Mars Komagatake Rindo and Amorik to name a few. 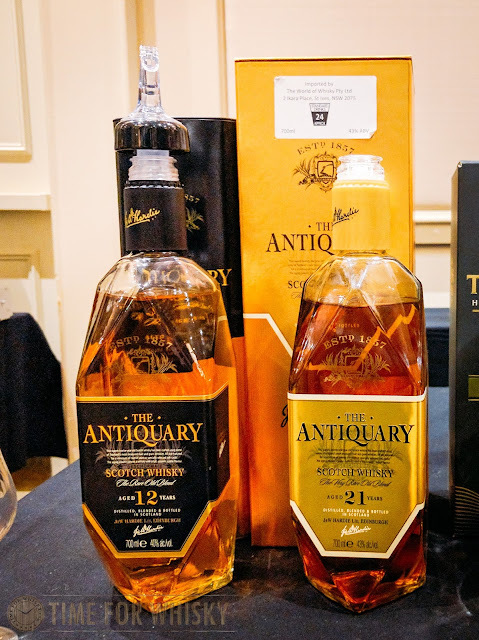 There's also a list of (higher-priced) special drams, inlcluding Arran Smuggler's Series Vol.1, Kavalan Amontillado Sherry Cask, and two Michel Couvreur whiskies (whose range we recently tasted and will write about shortly). 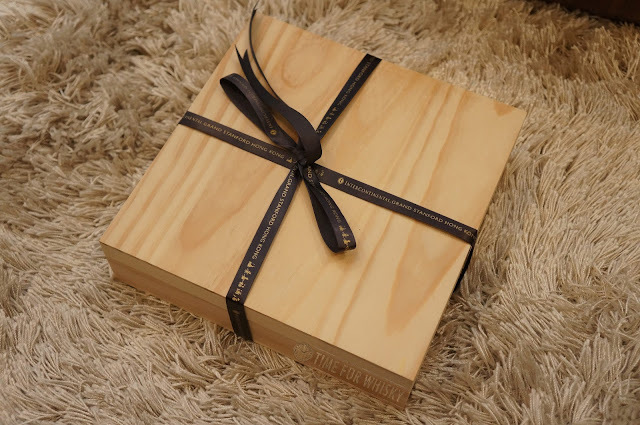 So...what was in the box? 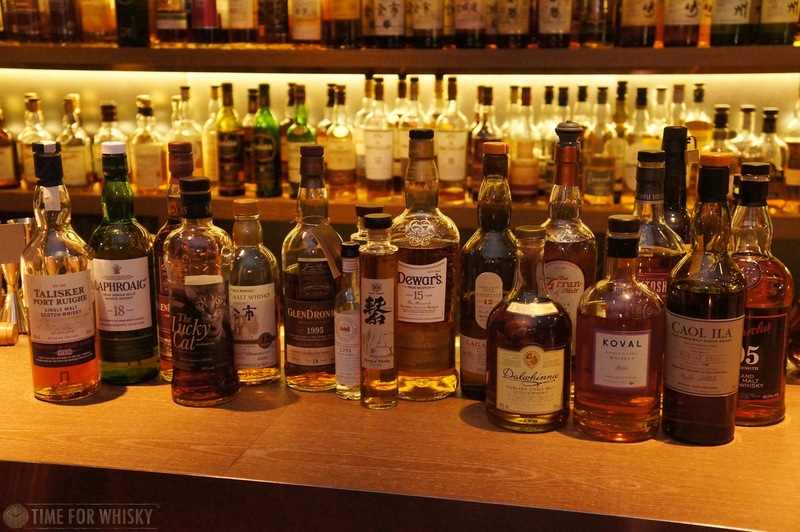 A selection of 5 of Tiffany's famous home-finished whiskies, which are finished right in the middle of the bar, in a number of oak casks they have on display. 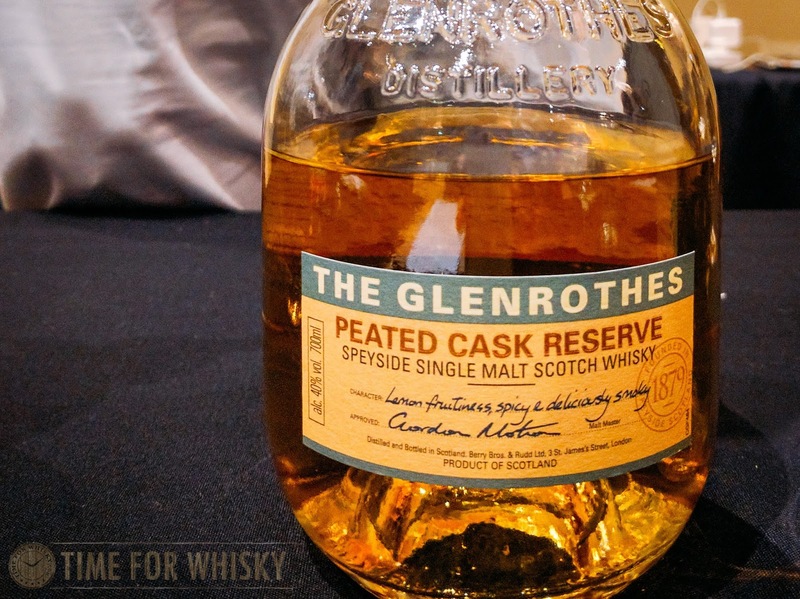 As I write this, I'm enjoying the "Speyside Shiraz Finish" and it's beautiful - smooth and rounded, with some citrus notes and some big red berries, with a lovely toffee finish. No harsh oak or overt tannins either, as you might get with extra cask-finishing. 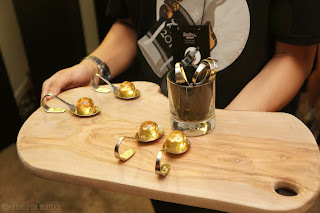 Try them at the bar, and hopefully they release these sample boxes for sale soon. 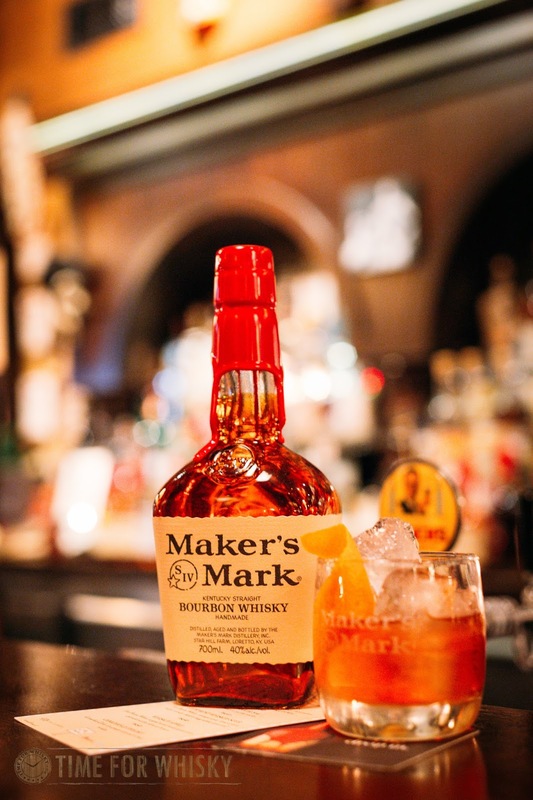 To celebrate a longstanding favourite whiskey cocktail; the Old Fashioned, Maker's Mark recently launched the inaugural 'Old Fashioned' week at Earl's Juke Joint in Newtown. Running in parallel with Sydney Fashion Week, the inaugural Old Fashioned week is all about showcasing the unique, versatile and glamorous nature of the Old Fashioned cocktail. 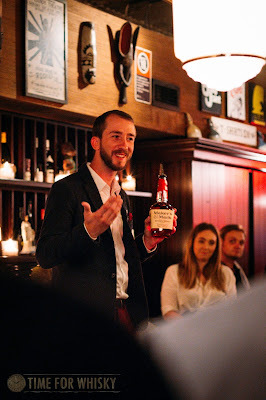 We attended the Old Fashioned Week launch event tonight at Earl's Juke Joint where Luke Hanzlicek; Premium Spirits Ambassador for Beam Suntory kicked off the celebration with a demonstration of how to best craft an Old Fashioned. 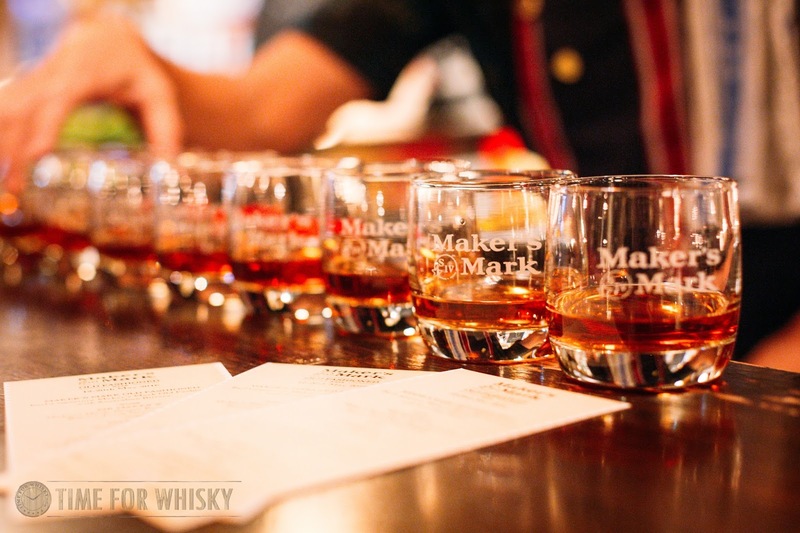 Not to anyone's surprise, the base bourbon used was Maker's Mark. 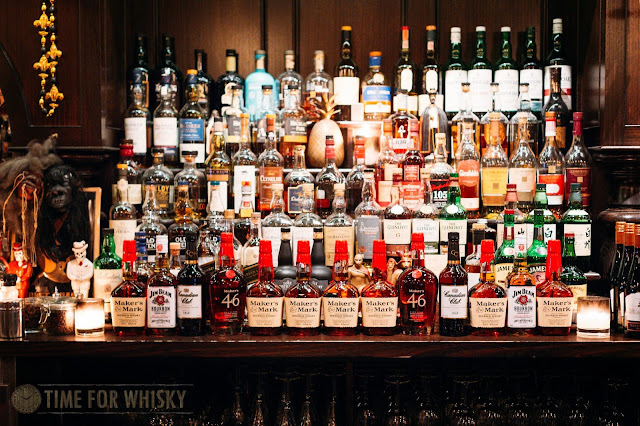 Running between 12-20th May, 12 bars across Sydney will be participating in the week-long celebration and each bar will showcase their own style of Old Fashioned. At Earl's, the cocktails being showcased included an Old Fashioned, Mr Maker's (Ginger Beer, Bitters, Orange and Mint), Whisky Sour and Whiskey Apple. 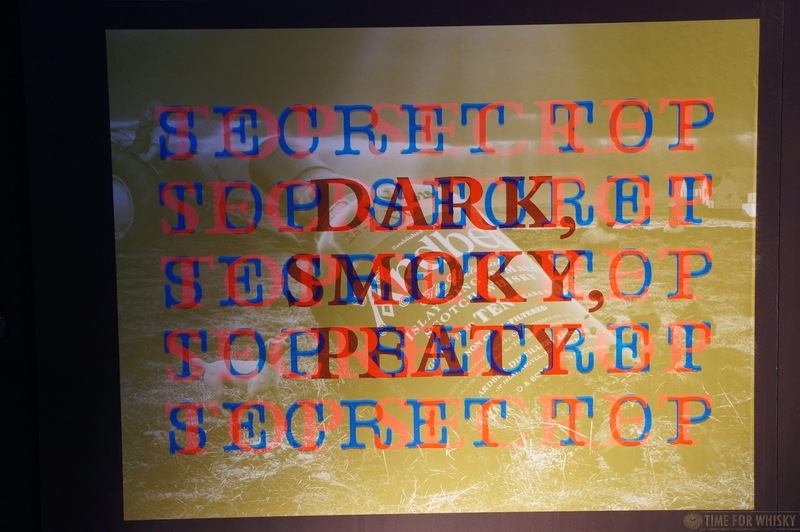 The Wild Rover will also host a True Maker's event on the 18th May; a collaboration between Maker's Mark and Simon Anderson (competitive surfer) and Anthony Lister (painter and installation artist). The 12 participating bars will be The Commons, Earl's Juke Joint, Papa Gede's, Ramblin' Rascal Tavern, Riley St Garage, The Roosevelt, Shirt Bar, Soda Factory, Stitch Bar, The Village Inn, The Whisky Room and The Wild Rover. With the weather cooling, it's the perfect opportunity to drop by any of the venues above and sample different takes on the Old Fashioned cocktail. 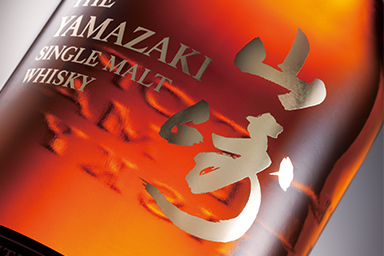 There's already been one limited, highly sought-after 2016 Yamazaki this year (and we tasted it here), and now there's set to be another - the Yamazaki "Limited Edition" 2016 release. 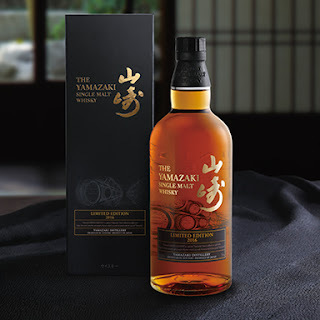 Following in the footsteps of the 2014 and the 2015 Limited Editions (the former which is still not-terribly-difficult to find in Japan), this year's release is also an NAS, but sounds like it contains whisky from ex Sherry and Port cask(s), with some of the malt aged for over 20 years. There are some more details here (if you can't read Japanese, you might need to make do with Google / Chrome auto-translation..). Unfortunately there's no information on how it will be made available yet (quite possibly via lottery like last year), but at 10,000yen, at least they're keeping it relatively accessible.